Baby Princess Inspired Rompers Only $12.99! 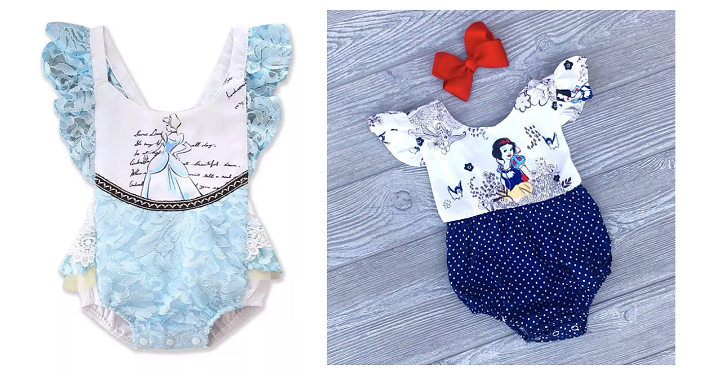 These princess inspired rompers are the perfect outfit to pack your little one head to Disneyland! Right now you can grab one Baby Princess Inspired Romper for only $12.99! These run up to 3T in size with 11 different styles to choose from. Shipping is only $3.99 for the first item and $.79 for each additional.